The garden at Amass represents the soul of the restaurant. We currently have more than 80 different varietals of plants, including leafy vegetables, berries, herbs and flowers that appear on our menu daily. But our garden is more than ingredients: It’s the inspiration for dishes to come, making each day a work in progress. Our garden isn’t just for us. 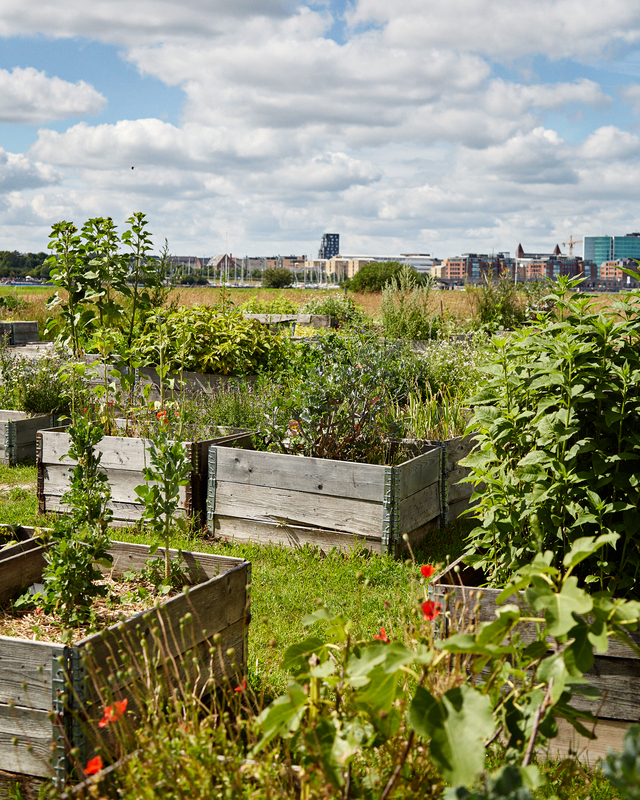 We want our garden to be a learning environment and urban oasis for our guests and community. The garden amasses friends, family and neighbors to have a glass of wine next to the sunflowers, a post-dinner coffee by the nightly bonfires, or even a sniff from our lavender patch. As an educational tool, everyone, from chefs to locals, are welcome to learn from our sustainable agriculture initiatives. We also use the garden as the basis for the Amass Green Kids Program, our farm-to-table initiative for local schoolchildren. So please come and enjoy our small piece of nature amidst the industrial settings of Refshaleøen.